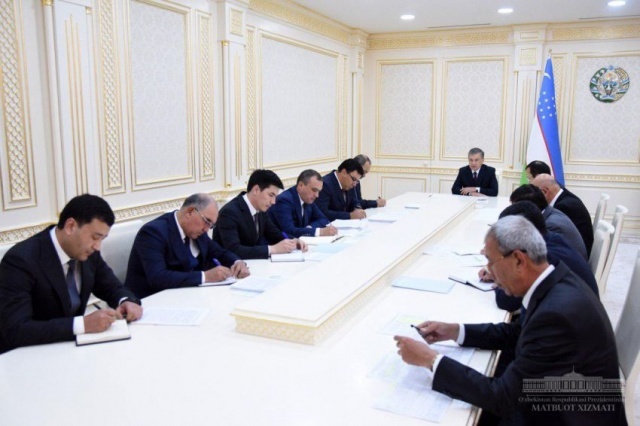 On September 20, the President of the Republic of Uzbekistan Shavkat Mirziyoyev held a meeting devoted to issues of physical culture and sports development. As it is known, in order to reform and accelerate the development of the sphere, the Head of the state on March 5 this year signed a Decree “On measures for radical improvement of the public administration system in the field of physical culture and sports”. According to the Decree, the Ministry of Physical Culture and Sports of the Republic of Uzbekistan was organized on the basis of corresponding state committee and its territorial subdivisions, its tasks and powers were expanded. A new system is introduced for improving the selection of athletes, which began to give the first results. At the Asian Games held in August-September in Indonesia, athletes of Uzbekistan won 70 – 21 gold, 24 silver and 25 bronze medals. The fifth place taken by the country in terms of the number of gold medals became the best result in the history of Uzbekistan sports. – We are proud of our athletes who have made a huge contribution to enhancement of the authority and glory of Uzbekistan in the international sports arena. At the same time, not being limited to success in higher sports, we need to pay great attention to mass sports, – said Shavkat Mirziyoyev.